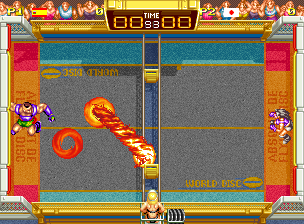 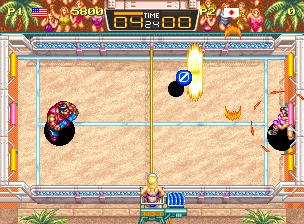 This disc throw is done very simply by pushing , the speed of the throw differs from character to character and it is impossible to keep the disc forever, the game has a system of automatic throw, every directions can be combined but the use of the backward diagonals ( and ) is not advised, those do not permit the disc to go fast enough in a trajectory susceptible to trick the opponent. 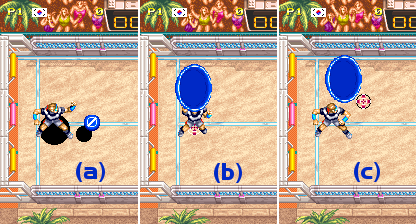 The oblique shots ( or + ) are to favor when close to the net, while high and low trajectories ( or + ) should be used to seek the rebound, especially on large stadiums. 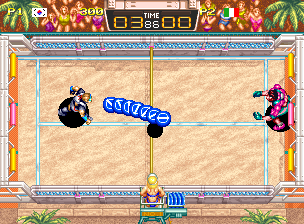 Can be triggered in the same way as a simple Curve (Quarter or half circle + ), always after a Super charge, the direction of the disc can vary enormously depending on the inputs performed during the throw. 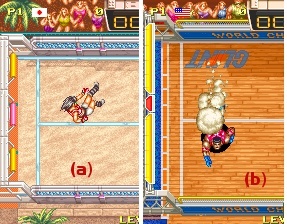 Also called Super Lob, this super is very useful to punish an opponent that is too far from its goals, combining or with allows you to choose which corner you want to send the disc to, take note that if you wait before using the technique, the disc will start rolling on its side closer to the net. 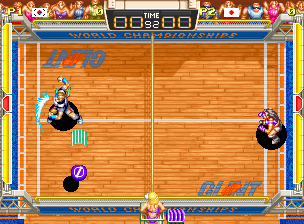 The second part of this tutorial will be exclusively dedicated to defensive phases, which are when your character do not have the disc in its hands. 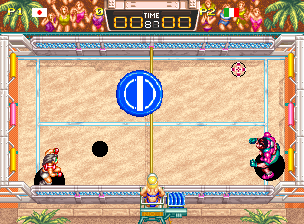 This can be used to send back the Super Custom of your opponent, push when the Super Custom makes contact with your character's hitbox. 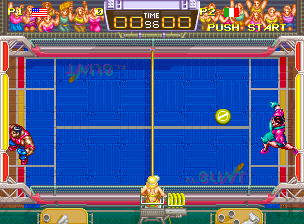 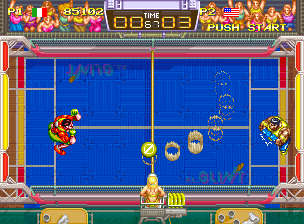 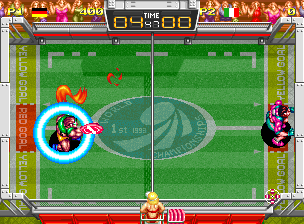 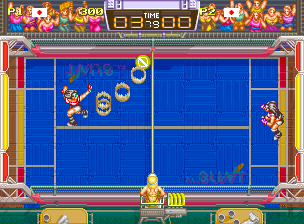 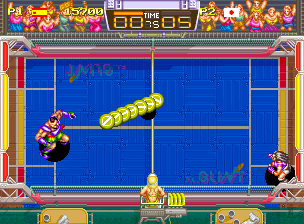 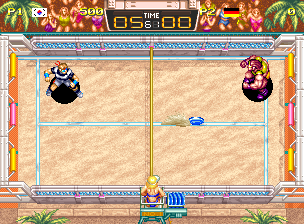 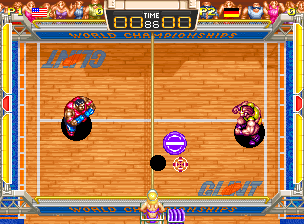 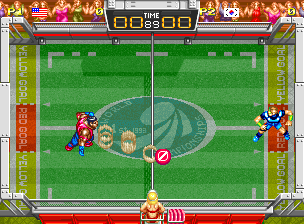 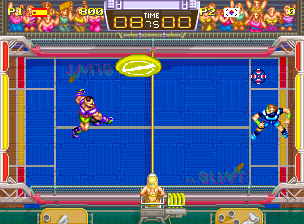 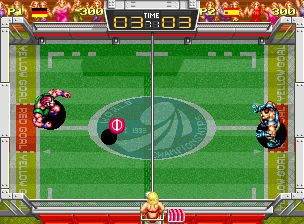 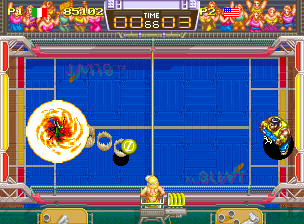 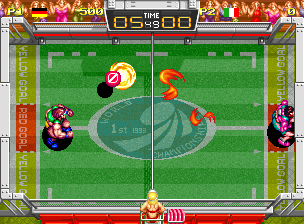 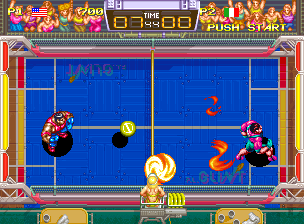 Just getting back into Windjammers recently and I am glad there is a fansite for this game. 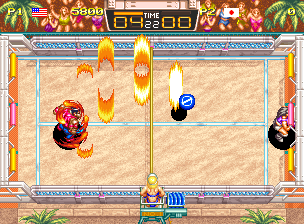 I also like Battle Flip shot too.